Conference card holders in a landscape design are made from PVC material and designed to be held by a lanyard with either simple j hook or alligator clip. These plastic card holders feature a centre hole for an alligator clip or two round punch holdes that will fit most lanyard attachments. Size displayed is the insert size. 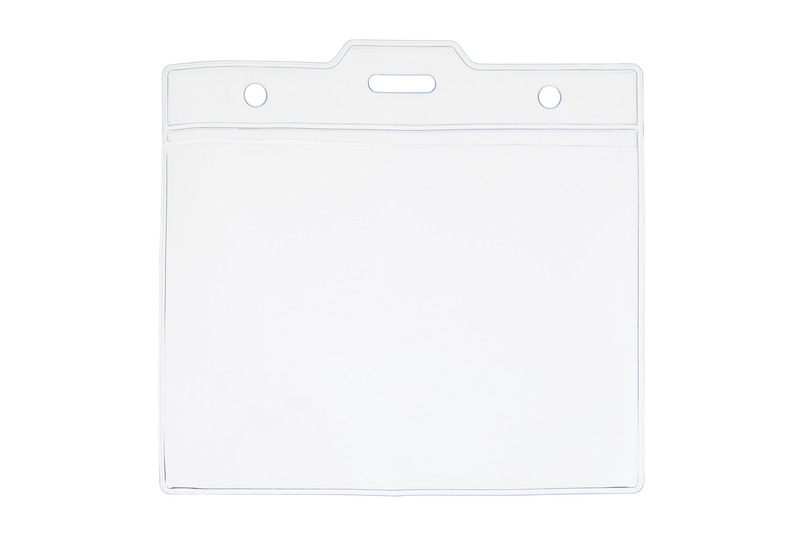 The card inserts can be purchased from any leading office supply store.